The OPR 3201 barcode laser scanner with pistol grip and auto-trigger stand delivers reliable performance using Opticon's proven scanning technology. The OPR 3201 weighs only 80 grams, much less then other pistol-style scanners on the market today. It comes equipped with a large grip with scanning parts near the central core to stabilize hand movement and minimize user fatigue while gathering codes. The high performance laser scanner provides a fast and accurate reading of codes, even when they are printed with low contrast or high density. The scanner is plug-and-play ready right out of the box. The OPR 3201 enables quick connection via USB, and the ability to put Opticon's scanning performance to immediate operation. It features auto trigger feature. When using it with the complementing stand, you initiate instant hands free scanning. 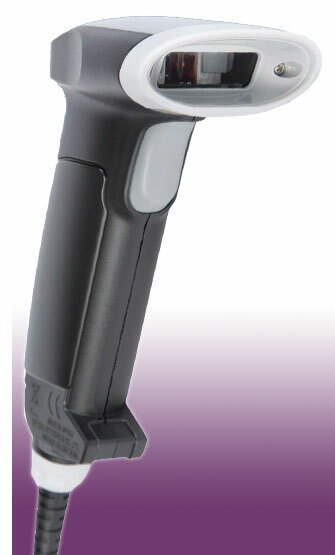 When manual control is preferred the scanner can also be operated as stand-alone unit.